Today's post will feature three spaces as will tomorrow's. 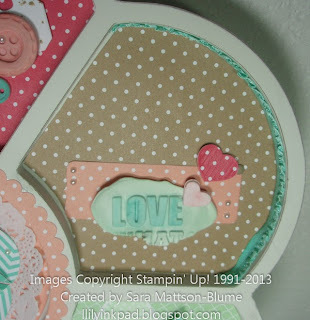 I "grunged up" the tag by stamping with the Gorgeous Grunge stamps of the stripes and the dots. 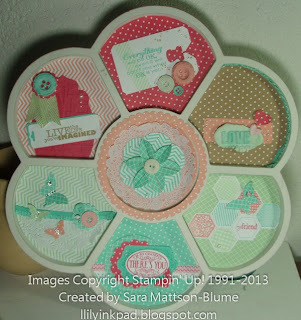 The Simply Pressed Clay was easy to use. I'll show more on that in a different post. But know, it's easy. For this one, I wanted a little more "white space", or in this case--Brown Sugar Spice space. 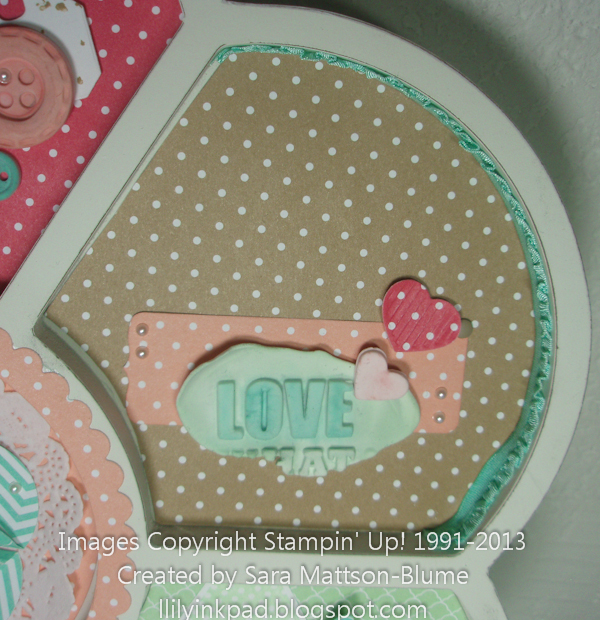 In this frame, I used the word "love," which is from one of my demonstrator set of Sweet Pressed Cookie Stamps. I just made a splotch of clay and stamped. After it dried, I colored with my aquapainter and ink refills. The heart came from another stamp in that set. 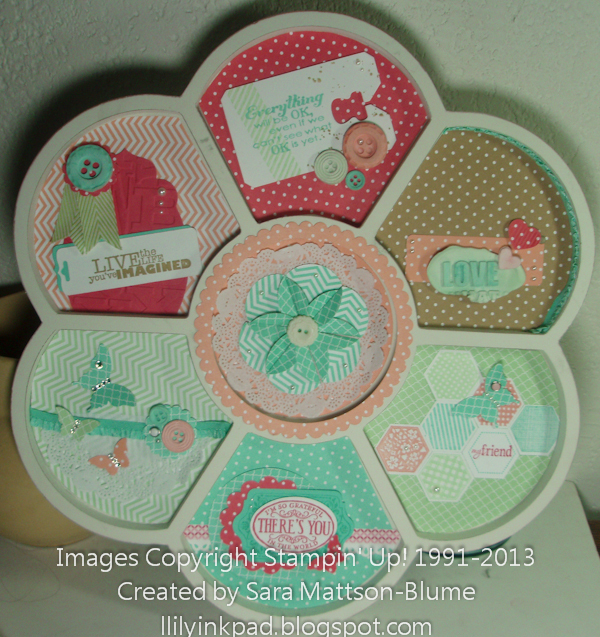 My last share for today is this frame and is actually the last one I did. I had the vision of it in my mind and knew I could do it. It turned out better than in my mind, which is pretty good. I did a happy dance when I first saw the Hexagon Punch. 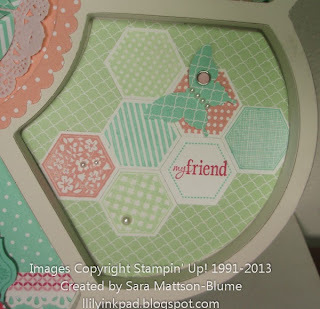 As someone who cut out the hexagons on her This and That book, I wanted a punch this size.